Custom tungsten key tag in many shapes: spinning heart, heart, spinning round, spinning rectangle, spinning square, rectangle, spinning oval, colored tear drop, steering wheel, start, tear drop or oval. A sturdy white paper board key tag with a tungsten rim along the outside diameter or rubber rim with tungsten board or both tungsten board and rim. Simply write the key information on the tag for quick and easy key or part identification. String can be looped around key hole or onto a part. A simple and inexpensive way to sort and organize keys. 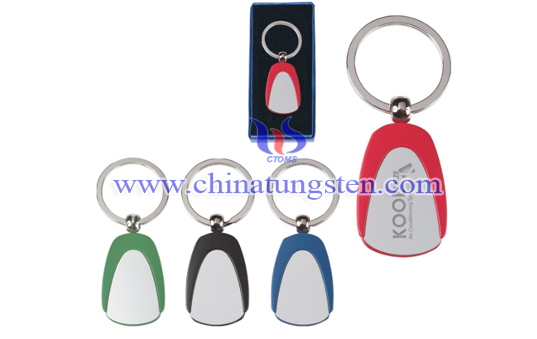 Blank tungsten key tag is available for our customers who want to do their own engraving or printing. 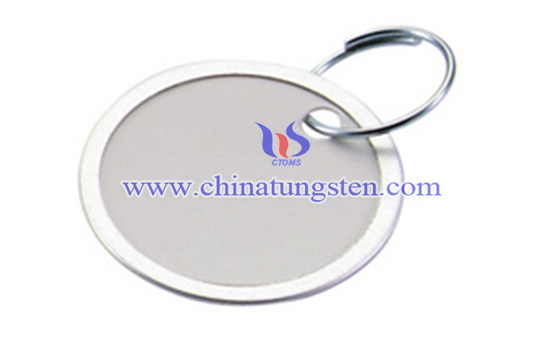 If you have any interest in custom tungsten key tag, please feel free to contact us by email: sales@chinatungsten.com sales@xiamentungsten.com or by telephone:0086 592 5129696.